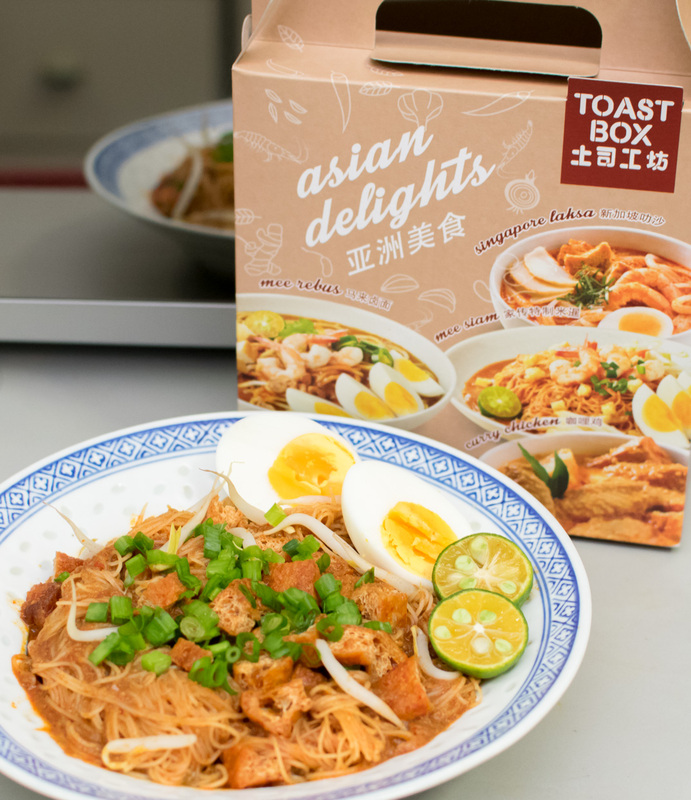 Home Food Adventures Toast Box Asian Delights Makes Home-cooked Meals A Breeze! Whip up your favourite Singapore meal at home with a few simple ingredients and Toast Box's Asian Delights ready-to-cook pastes. We got to try out Toast Box‘s range of Asian Delights ready-to-cook pastes and to put it simply, we were impressed! These make great gifts for Singaporean friends living abroad, as they can cook up their favourite flavours from home that they miss so much. But at the same time, these ready-to-cook pastes are great time savers for those of us who work long hours yet want to eat a home-cooked meal. 1. Mix 200g Mee Siam paste with 2 tomatoes and 600ml of water in a pot. Stir continuously until boiling. 2. Place the prawns in the boiling water for 2 minutes. Then remove and set aside. 3. Pre-soak bee hoon with warm water, then stir fry bee hoon using the top layer of oil from step 1. Blanch the bean sprouts. 4. Place been hoon and bean sprouts onto a plate. Pour mee siam gravy over the ingredients. Garnish with calamansi, egg, dried & fresh beancurd and cooked prawns. Serve hot. Preparation and cooking was a breeze! And a bonus… it’s delicious! 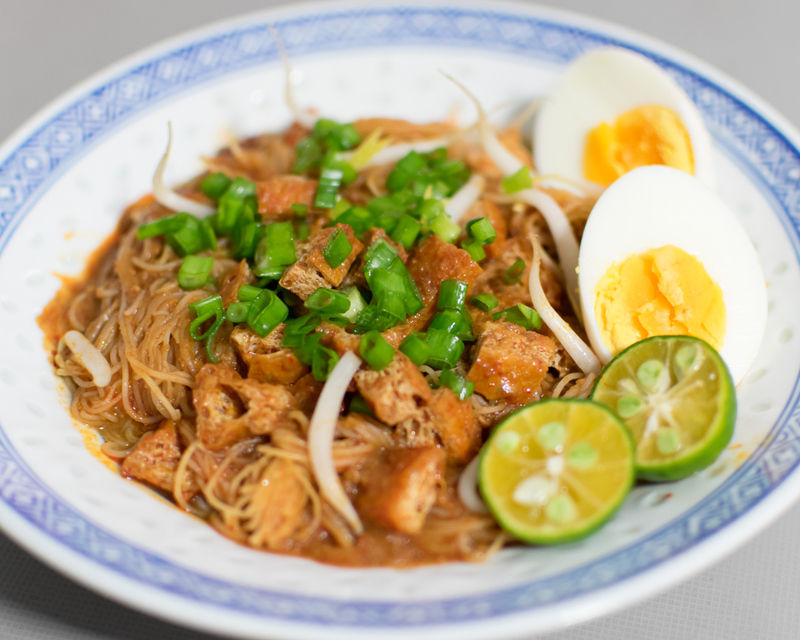 We loved the Mee Siam so much that we went out to get more Asian Delights ready-to-cook pastes. It’s also great to know that the pastes have no artificial colouring and trans fat. As mentioned, cooking is great because you can customise your own dish. We left out the prawns in the Mee Siam and added more calamansi juice to our liking. Loving how you can purchase sets of ready-to-cook pastes in this convenient carry box, making it a great gift! Each pack of ready-to-cook paste feeds 2-3pax, which is always a great excuse to invite friends over to share a delicious meal. Toast Box Asian Delights ready-to-cook pastes are available at all Toast Box’s outlets in Singapore (Except Queenstown MRT Station and Wisma Atria Basement 1). 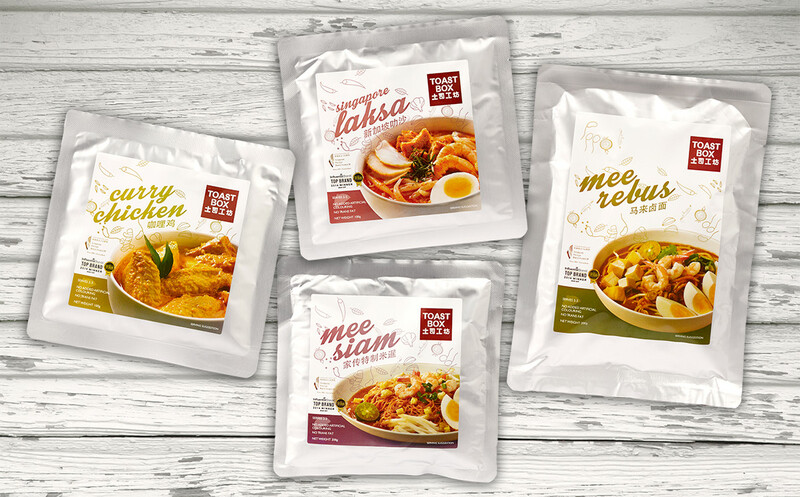 The ready-to-cook pastes are retailing for $6.50 per pack (except Mee Rebus which is priced at $6.80), or you can purchase a box of any 4 packets of Asian Delights ready-to-cook pastes at $25 (U.P. $26 – $27.20).